It takes a terrific team To Make a farm run smooth. Ben & Stephen scout for insects and wildlife damage on newly seeded cucumbers. 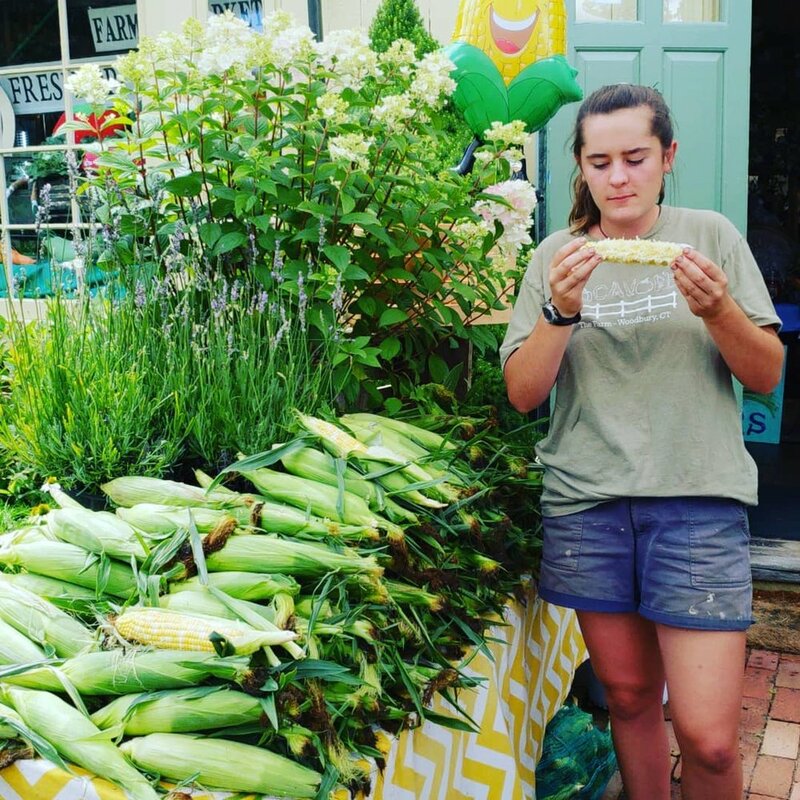 Riley promoting our farm-stand on Instagram. Ben at open air market. Smiling is necessary! Positive attitude and outgoing. Engaging our customers with information about our farm. 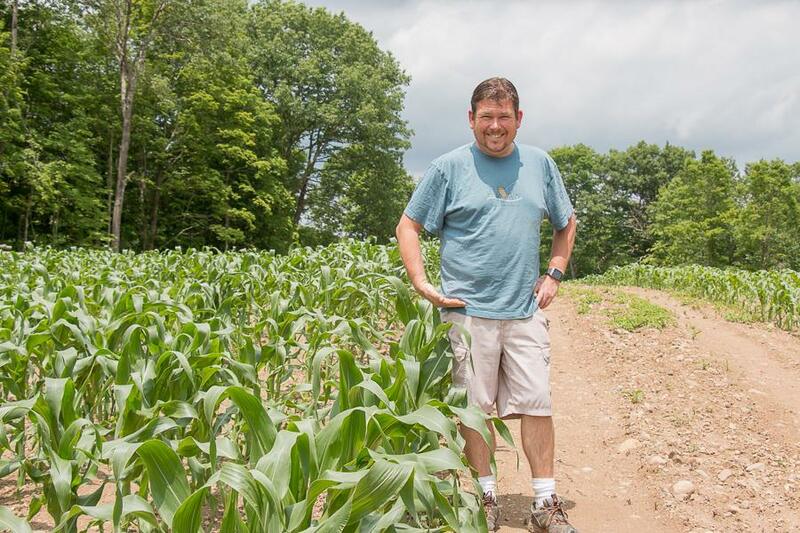 Mike checking out The Farm’s Famous Sweet Corn. “knee high by the fourth of July” - connecting between the field to the farm stand. Claire taste testing The Farm’s Famous Corn. We like our farm-stand help know the flavor and quality of each offering. Stephen on one of many of The Farms tractors. Must be at least 21 to operate equipment. Tractors driving license or on field test is necessary. Long hours at the markets. Fun talking with many customers, taking pride in what we sell every time. Restocking. Do you like vegetables? If you don’t no need to apply. Nick, loves garlic! Especially The Farms hard neck garlic. Field crew help is a huge part of The Farm. Harvesting takes lots of time and labor. One of the most fulfilling jobs at the farm! We take pride in offering our produce, and products to many different types of customers, wholesale and farm-stand as the two largest. Without pride and exuberance in the kitchen our produce isn’t the same. do you love to cook? do you love talking with people? do you garden and like to be outside? These are all good precursors of becoming part of our growing team! 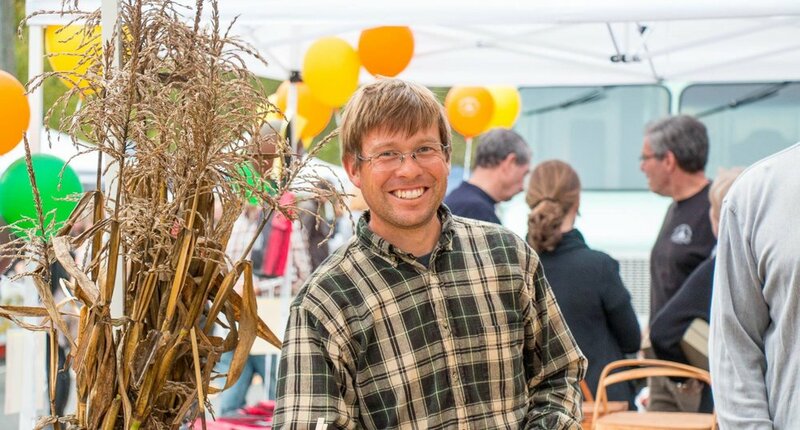 Our Farm has Maple Syrup Production, Greenhouse Ornamental and Edibles, Field Grown Produce, Hay & Straw Production, CSA, Farm-stand, Pick Your Own Fall Fun, Special Events. There is always something to do! Over our years in operation we’ve found most of a part time help through FFA & Agri-Science school work programs. These students get to learn so much before heading away to college. There lays the problem; they go away to school. Great for furthering there education and personal growth however, we then have open space to fill. A farm is a great summer job in our opinion! There’s no other occupation more fulfilling than watching a seed grow, and a happy customer buying our labor of love veggies! Are you interested? Working on a farm isn’t for everyone that’s for sure. If you are self motivated, interested in working outside and not put off by getting a bit sweaty or dirty we would like to hear from you! If you sleep in late, stay up too late, rather watch someone else work as you stare at your phone, then there’s no reason to apply here. We are devoted hard workers, tough to keep up with. Why Is The Job So Great? Every day is different. Some days we have a small crowd that can be given extra attention, and some days are so action packed it’ll go by in a flash. We offer a family-friendly atmosphere that includes a variety of indoor and outdoor positions. Some are more physical than others, some have more interactions with guests than others. There is something for everyone. These are great jobs for mature and personable high school and college students, retired folks, stay at home parents and anyone looking for a way to interact with people! Weekends are very busy at the farm, so many of the positions we fill are weekends only. Which area below best fits you? Ideally we could hire someone that is comfortable in all of these areas. However, we know that’s like finding a needle in a haystack. With that said all areas of opportunities share these common values we require. Watering - It’s an Art! Medical Services - CPR, etc. Interested in Joining our “Growing” Team?